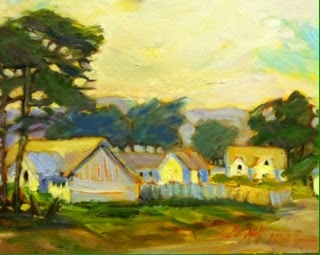 Come paint at Pr Reyes, June 6 & 7th classes on Impressionist's Palette and Perspective. The glow in this painting is the element Impressionism adds to a painting. Come learn the palette!